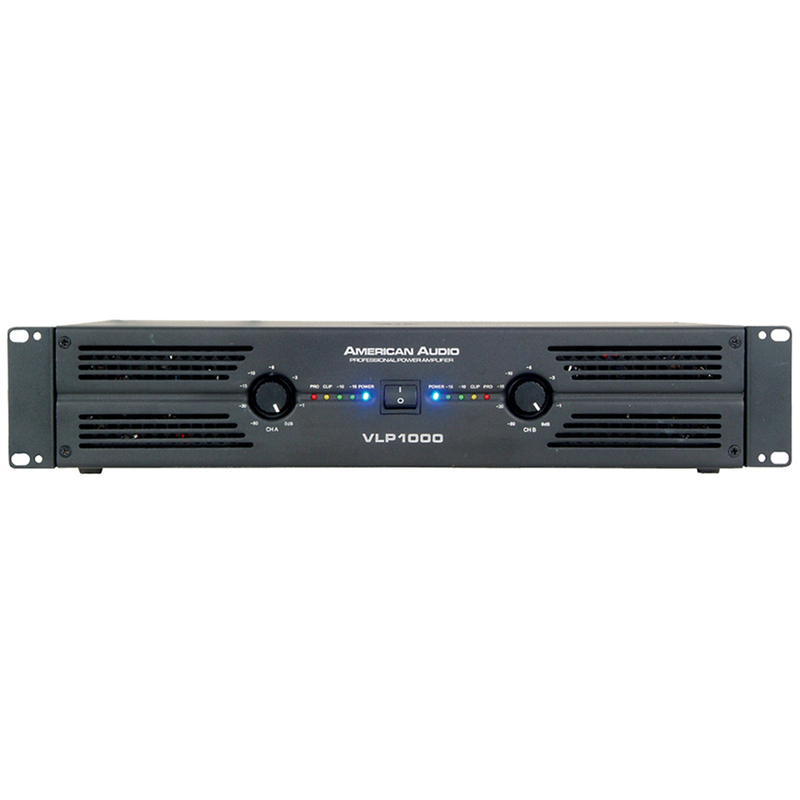 The VLP 1000 Power Amplifier from ADJ has lots of great features. But first the power. This is a crucial part of your setup as a DJ. 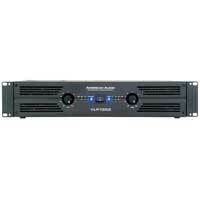 Output power of 500W RMS Per Channel - 4 Ohms, 1kHz, 0.1 percent THD, 330W RMS Per Channel - 8 Ohms, 1kHz, 0.1 percent THD, and in (Bridge Mode, Mono) 1000W RMS - 8 Ohms, 1K Hz, 1 percent THD. 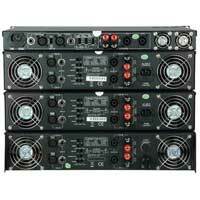 This terrific product from ADJ will make sure to deliver the power you need to your system. 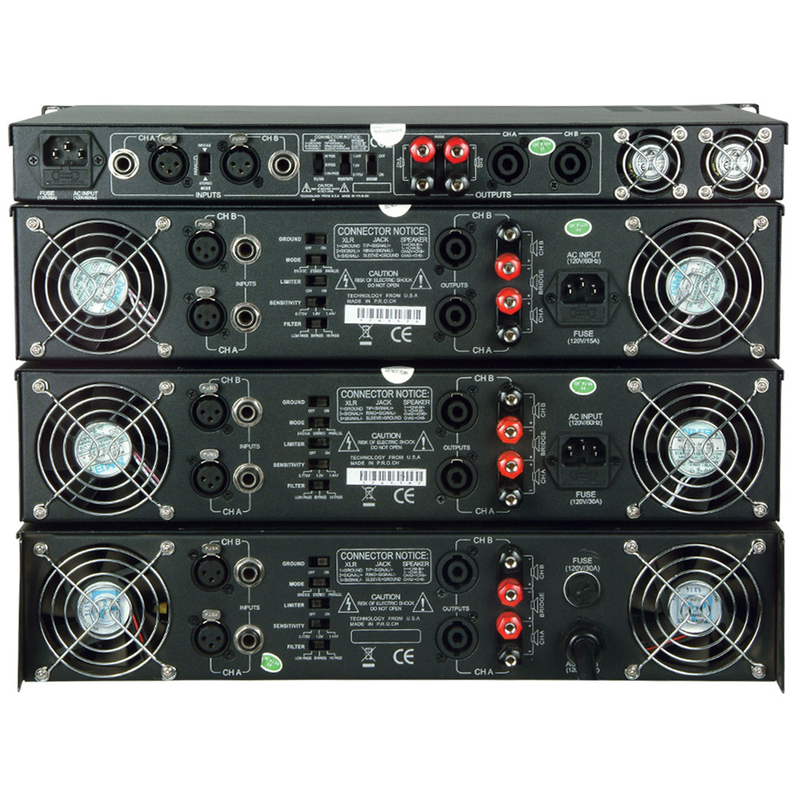 Some of the other features include: Total Harmonic Distortion: Less Than 0.1 percent (20Hz - 20kHz - 8 Ohms), Frequency Response: (+/-01db, - rated output Power, 8 Ohms): 20Hz - 20K Hz, Slew Rate: 15V Per usec, Damping Factor - 8 Ohm: 300, Impedance: 20K Ohms balanced / 10K Ohms unbalanced, Cooling System: 2 indivdual fans, Special Features: High/Low Pass Filter / Input Sensitivity Selector / Ground Lift / Limiter.